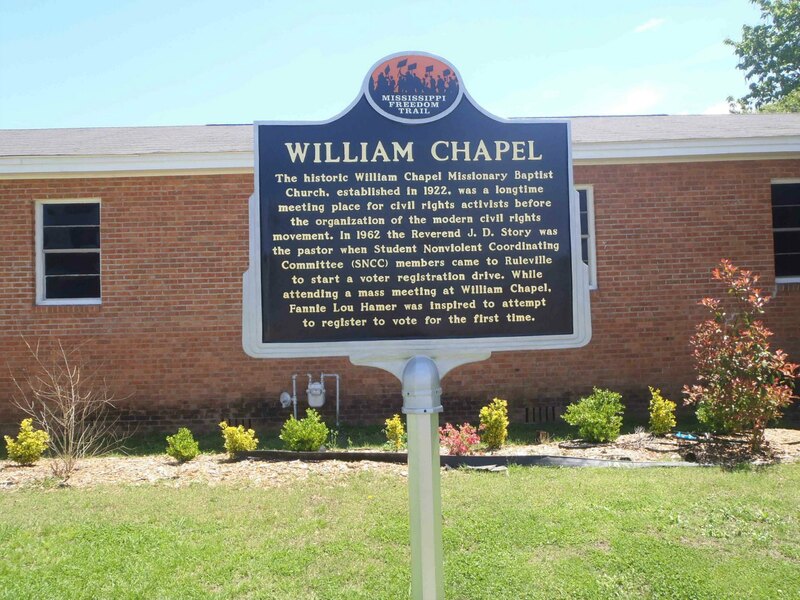 The Mississippi Freedom Trail has erected a commemorative marker outside William Chapel Missionary Baptist Church in Ruleville, Mississippi. There is another Mississippi Freedom Trail marker a few blocks away commemorating Fannie Lou Hamer. William Chapel Missionary Baptist Church is located at the corner of O.B. Avenue and Elisha & Everette Langdon Street in Ruleville, Mississippi. Mississippi Freedom Trail marker for William Chapel Missionary Baptist Church, Ruleville, Mississippi. 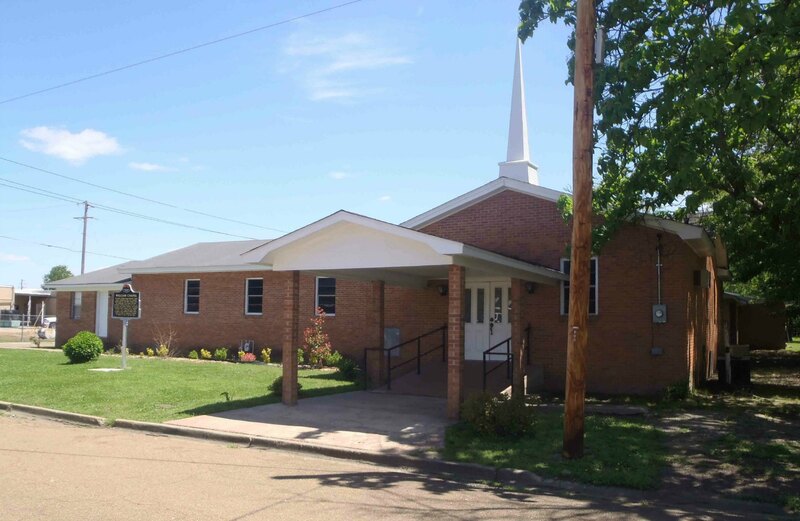 William Chapel Missionary Baptist Church, Ruleville, Mississippi. The Mississippi Freedom Trail marker is visible on the lawn in front of the church. This church and its Pastor, Rev. J.D. Story played a significant role in the civil rights movement’s activities in Ruleville and Sunflower County. Along with its civil rights history, William Chapel M.B. Church was also the site of Fannie Lou Hamer‘s funeral in March 1977. The eulogy was delivered by Andrew Young, then a U.S. delegate at the United Nations. Here are some documentaries about Fanny Lou Hamer and Voting Rights in Mississippi.